Happy Monday everyone! Mondays can be rough, but a Monday right before Christmas hardly even seems like a real Monday. We are traveling and blessed this Christmas to be spending time with family. 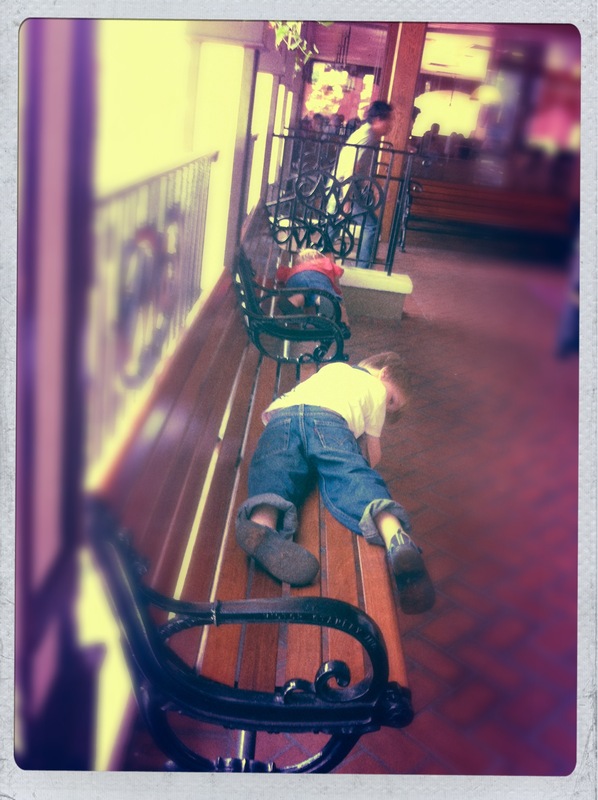 But, traveling with kids means lots of “kids-sleeping-in-random-places.” Or just falling asleep wherever they can to keep up with the holiday bustle. 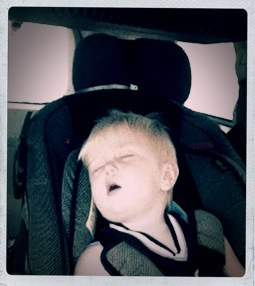 The car…This one isn’t too random…but sometimes the only way to catch some zzz’s when traveling during nap time. Or when you try for two hours putting them on a bed to take a nap and they insist over and over, “I AM NOT TIRED!” …and then promptly fall asleep on the couch causing everyone to tiptoe for the next hour or so to not wake the child and disturb the peace. Who knew benches outside a busy restaurant could be an oasis on a busy day? One of my favorites was when we couldn’t find our oldest one day (that’s happened to others out there, right?) . We looked all over our house, the garage, the yard, getting more panicked by the second. We finally found him upstairs. In the cabinet we have in our hallway. He loves tight spaces and crawled in there to play with his stuffed animals and fell asleep. I can’t find the picture or I would share. The last one I had to share (and I do have the picture), happened a few summers ago. We were driving from New Jersey to Michigan and stopping and doing lots of family stuff on the way. 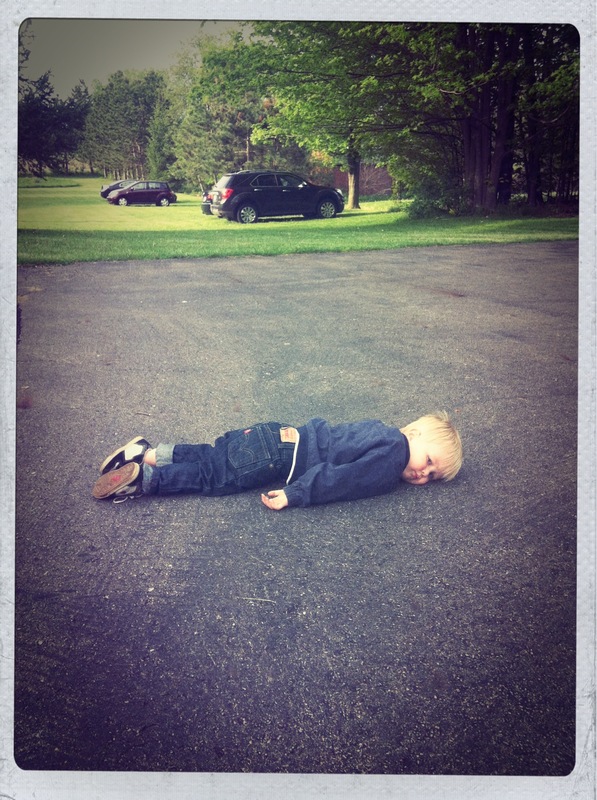 By the time we got to our final destination he crawled out of his carseat…and laid on the driveway. Ah, nothing like a warm driveway at the end of a hard day. 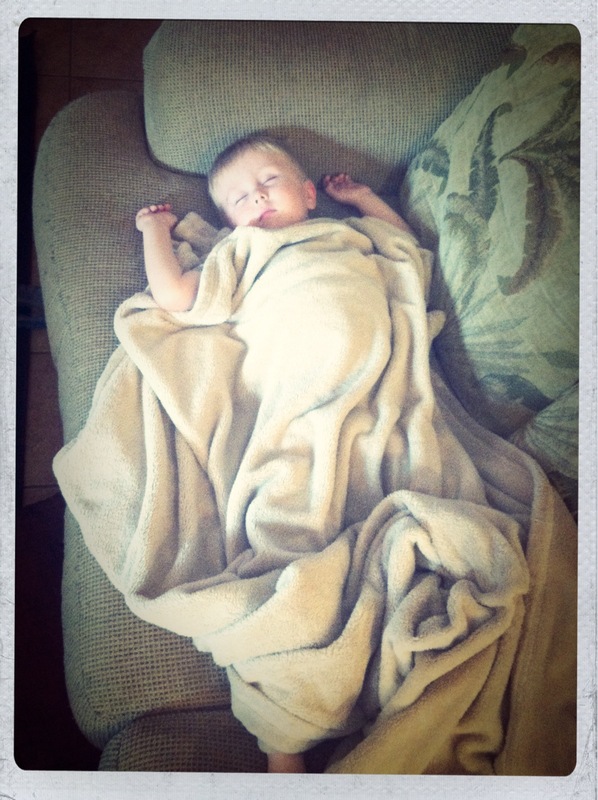 This entry was posted in Mommy Moment Mondays and tagged family time, holidays, kids sleeping, naps, travel, vacations. Bookmark the permalink. Hahahaha the last one was too funny!